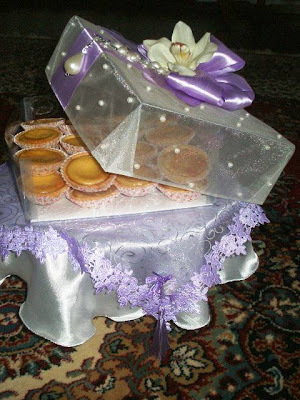 These were my first big assignments: Twenty Four(24) pahar in total to be made for one occasion for both the bride and groom! 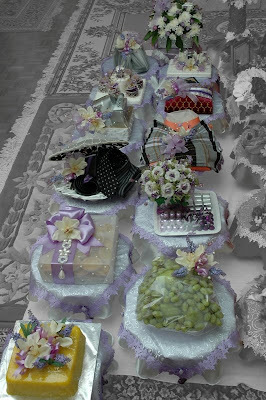 A Wedding hantaran of twelve(12) pahar each (eleven plus one) for both the Engagement and Akad Nikah ceremony in Kota Bharu, Kelantan. 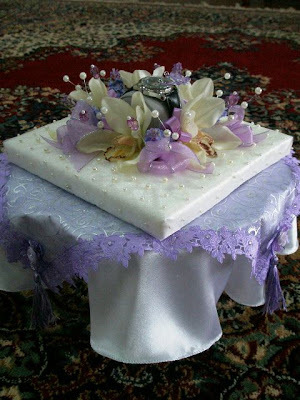 The bride requested a nice and simple theme of purple color for her to be given to the groom and maroon for her by the groom. 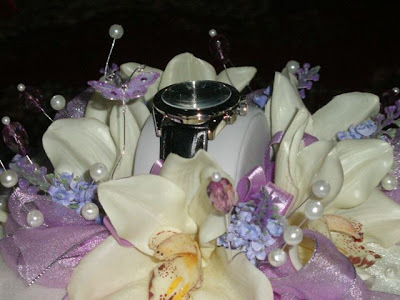 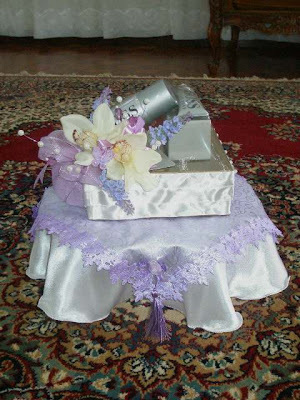 You can read my other posting for the Maroon hantaran theme. 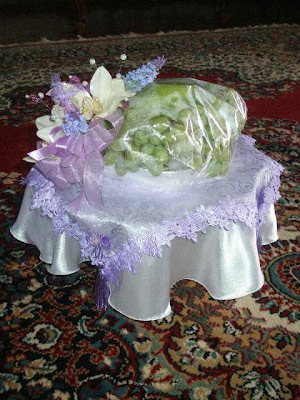 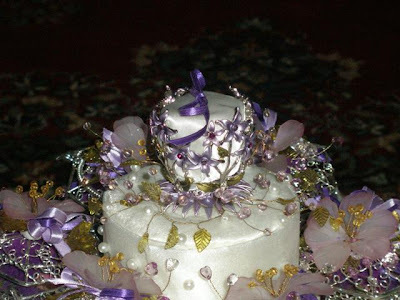 As for the bride, I chose lilac. 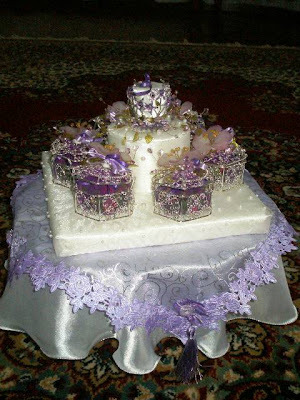 Personally, I love the elegance and sweetness in this particular color. 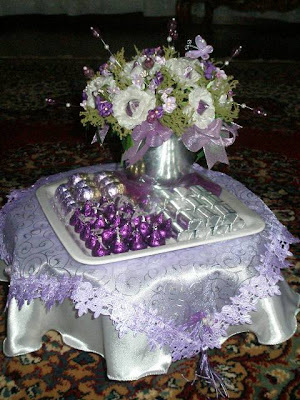 I paired lilac with a lot of cream, silver accessories and pearls of course :) Another favorite of mine now is using ceramic or glass as servers instead of rattan or wicker basket. 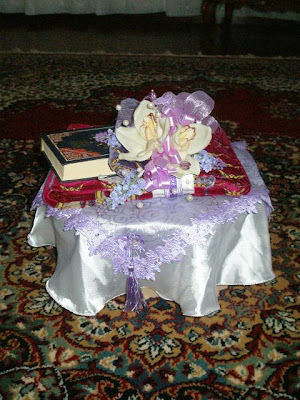 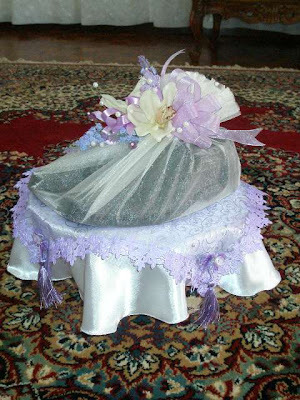 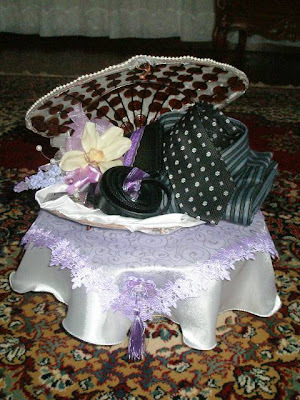 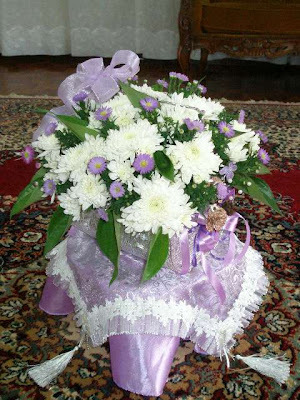 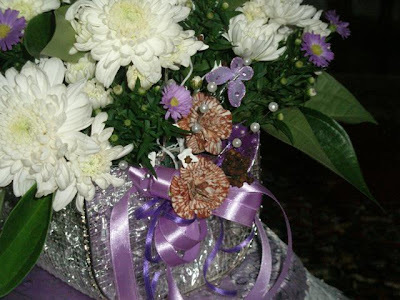 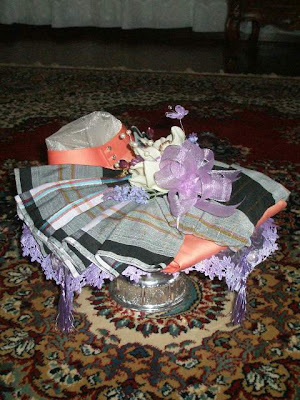 They look presentable and definitely practicle as they can be used by the bride at her new home after the marriage.